Indulge in our refreshing breakfast infused with organic ingredients and prepared by expert chefs to make your morning energetic. We are providing a wide array of facilities & offering stunning views from every turn in a relaxing and cosy atmosphere. Be it a power brunch, a business lunch or a laid-back and relaxing dinner after a day of work – our world kitchen is capable of catering to myriad taste buds. Be it a power brunch, a business lunch or a laid-back and relaxing dinner after a day of work-our world kitchen is capable of catering to myriad taste buds. We operate through a dedicated team of serving staff who are trained to do their work efficiently and groomed to look presentable and smart. 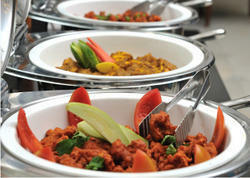 We provide and maintain the cutlery and other serving equipment. Lunchbox recipes. ... A wholemeal tortilla with a generous helping of tahini and stir-fried vegetables makes a filling vegan lunch that's packed with iron... ... A crunchy chicken salad that's zesty, healthy and 4 of your 5-a-day.